What was it like to attend a one-room school, to be in the same classroom as your older brother or younger sister, or to have your teacher live with your family for part of the school year? 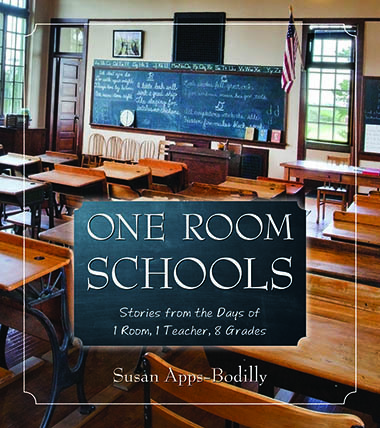 Join Susan Apps-Bodilly, author of One Room Schools: Stories from the Days of 1 Room, 1 Teacher, 8 Grades, as she chronicles life in Wisconsin's early country schools, detailing the experiences of the students, the role of the teacher, and examples of the curriculum, including the importance of Wisconsin School of the Air radio programs. She describes the duties children had at school besides their schoolwork, from cleaning the erasers and sweeping cobwebs out of the outhouse to carrying in wood for the stove. 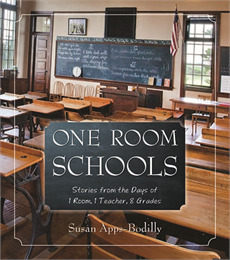 She also tells what led to the closing of the one-room schools, which were more than just centers of learning: they also served as the gathering place for the community.